Normal service has resumed on the Red Line after a work car derailed overnight. 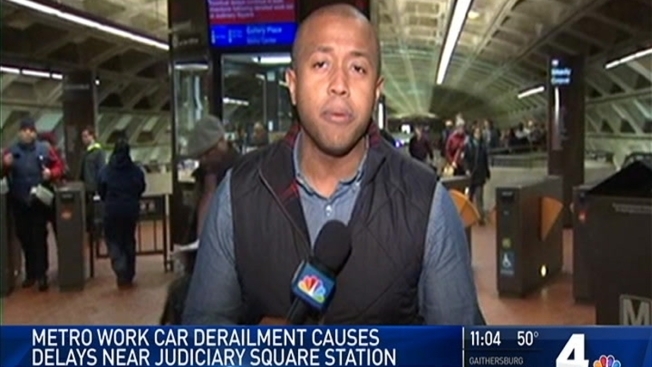 Metro spokesman Dan Stessel says a car carrying crushed rock derailed near the Judiciary Square station late Monday after the load shifted, causing a wheel to come off the track. He says no one was hurt and there's no damage to infrastructure. Red Line trains shared a track between the NoMa-Gallaudet U and Judiciary Square stations for several hours Tuesday. The derailment also affected VRE and MARC commuters. Metro suggested MARC and VRE customers enter the Metro system at New Carrollton or L'Enfant Plaza stations since Red Line delays will mean crowding at Union Station.